Welcome to Dynamic Hot Yoga in Hove. 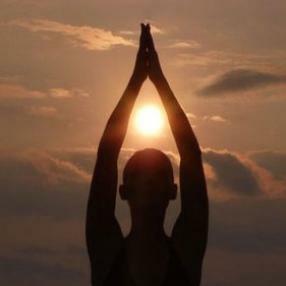 Dynamic Hot Yoga offers the largest yoga studio in Brighton & Hove. By blending classical yoga with the science of sport, Dynamic Hot Yoga truly offers the optimal Yoga experience with the additional benefit of safely burning calories and unwanted body fat. All of our classes are designed to suit all fitness levels and are heated to provide Yoga for everyone, whether you’re a beginner or an advanced Yogi. We have many students that have been coming regularly for over ten years, and our experienced yoga teachers can work with all people to improve their yoga practice and well being. We have aided professional athletes including world champions in triathlon and long-distance running and have helped others in healing debilitating spinal injuries. Many people have also become fit and healthy, lost weight and kept it off with Dynamic Hot Yoga. Now open 7 days a week, our recently refurbished premises feature a 'state of the art' heated fresh oxygen ventilation system, plus early morning Dynamic Hot Yoga classes with Ben on Mondays, Wednesdays and Fridays. A yoga class where you can bring your little ones to yoga with you. Toys will be provided or you can bring your own. They can join you on the mat or play. Pilates is a great exercise technique which helps to release muscular tension caused by the stress of daily living and is also suitable if you are looking to improve balance, co-ordination and strength. With effective movement exercises combined with precise flowing breath, Pilates improves posture and alleviates back, shoulder and neck pain. ​Ana Marcela has been teaching pilates for 15 years, she used to run regular pilates classes at Triyoga London since 2010. With a dance background and anatomy knowledge Ana's classes are full of insight as they work with alignment. Marcela works with deep postural muscles to reveal what she calls “the dynamic core”, a core which is strong, flexible, resilient and responsive. A strong centring practice with every second dedicated to making you feel embodied, grounded and connected! Personal tuition sessions in Dynamic Hot Yoga or Ashtanga Yoga are now available to all members. With one-to-one tuition you are able to tailor your practice to achieve your personal goals. Refine asanas to bring greater clarity to your understanding of them with detailed adjustments as you work with each posture. Develop a deeper understanding of breathing techniques and how to integrate them into daily life. Discuss the philosophy of yoga to deepen your experience of yoga. Focus on how your your sessions can give you the cardio / strength workout you need. Contemplate a quieter mind with guided meditation. Discuss your objectives before you book. One-to-one sessions are individually tailored to enhance your yoga. Private 1-2-1 Tuition classes are available at a variety of times, every day of the week. Hot Yoga private tuition will be with JJ, Dan or Ben. Ashtanga private tuition will be with Laurene or Gemma. A slow and peaceful practice that has many benefits. This form of yoga increases flexibility and promotes healthy joints as well as allowing the mind to slow down and come into the present moment. We will finish each class with a period of meditation. A yoga journey from explorative movement towards settling into stillness to end with a guided meditation, with space left for silence. Emphasis in the moving practice will be around awakening body connection and awareness, through a focus on spinal movement and how we open out from the centre to the periphery. Postures can be standing, sitting; dynamic or restorative and are sequenced to ease open muscles and posture in a safe and body intelligent way, lead by the breath and kind, mindful attention. Students will be supported to practice at the level of their body needs. 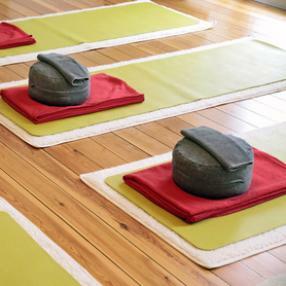 The ending meditation can be practised seated or lying where needed, and support for meditation posture will be given. It will be 10-15 minutes of the class and follow differing focuses, all lead in through Mindfulness of Breathing. One hour of Yoga Nidra and Sound Merger with the Universal Sounds of Hong. Come with your tensions and intentions and join me every last Friday of the month into ease and self-actualisation.